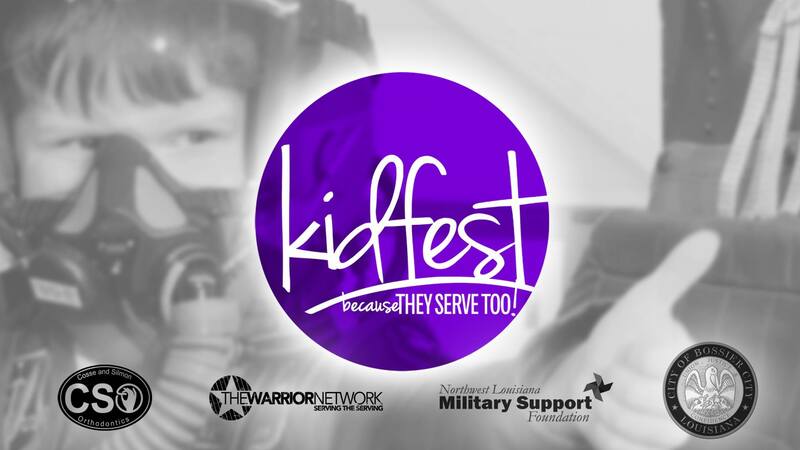 In celebration of Month of the Military Child, The Warrior Network, the Northwest Louisiana Military Support Foundation, and the City of Bossier will host its third annual KidFest Saturday, April 7, inside the Bossier Civic Center from 5 p.m. to 8 p.m. Presented by Cosse & Silmon Orthodontics, KidFest is a completely free event for military kids and families. The event will have inflatables, games, a petting zoo, dunk tank, food, demonstrations, displays, bounce houses, prizes, and much much more! Volunteers from local organizations, churches, and businesses will be there to ensure kids (of all ages) have an amazing time. This event is specifically for any and all military kids and families, any branch, married or single, deployed spouse, active, guard, reserves, veterans, etc. Attendees will be asked to provide proof of military affiliation (such as a military ID or DD214). There will be fun and games for both preschool and school age kids. Visit www.thewarriornetwork.org/kidfest for more information.